You have probably worked in a less-than-ideal situation, where you can relate to the struggles above. Teaching math doesn’t have to be that difficult! Maneuvering the Middle® math curriculum is a perfect solution to equip you to meet the needs of your students and the demands of the teaching profession. This is a curriculum that was designed by teachers who struggled to find resources that engaged their students and met the standards. So they designed their own and changed the culture of their classrooms. With hands-on cooperative learning activities, students are excited to work together to solve problems — even if it’s just in math class! All of the standards are grouped into smaller units to scaffold the content and streamline your planning process. Because we all know that you are a significant factor in student achievement, and you are already strapped for time, let Maneuvering the Middle® curriculum do the planning while you enjoy the results! Each set of grade level TEKS are broken down by concepts and grouped into units. To ensure vertical alignment and to create a cohesive content base, unit overviews provide you with a foundational understanding of where students are and where they need to go. A common language is supported through vocabulary, so students are familiar with the same terms and references as they progress through middle school. Each topic offers teacher tips that address engagement ideas or student struggles to streamline your planning. Lastly, big ideas and essential questions allow you to focus your students on what they can take away from the unit. Oftentimes the most difficult aspect of planning is the pacing! While some students will need more time, and others will be ready to move on, the flexible pacing calendars give you a baseline to implement. From there you can tweak the pacing to meet your students, but all of the prep work has been done for you. The guided notes provide visuals and scaffold the concepts in such a way that students refer back to them -- a teacher’s dream! Real life application and problem solving strategies have been incorporated throughout the units to ensure that your students can apply the concepts. At least six hands-on activities are included to support cooperative learning and student practice in a fun way! Higher-level thinking skills are incorporated, and teachers have commented that they hear their students using academic language and justifying their reasoning. A short, creative independent practice is included for each day. Some teachers choose to assign this as homework, while others use this in math stations with small groups. Each unit includes at least one quiz and an editable unit test. This allows you to customize the unit test to meet the needs of your students. Perhaps you would like to reduce the number of questions or answer choices for an IEP or a 504 plan, or maybe you want to offer a pre-assessment prior to teaching the unit. The customizable unit test provides you the opportunity. Has this worked in other classrooms? “Hands down the best purchase I have made in a while! I’m a first-year teacher who got thrown into teaching 6th grade math at the last minute. This bundle has been so valuable in planning and teaching all things 6th grade! My district has a pacing guide that we have to follow to a T, but there aren’t many resources provided to teach from. “I just wanted to email you and thank you and your team for all you do! This year my 8th grade math team and i used your entire curriculum and we saw scores that we have never seen before (93% passing)! I work at a low income Title 1 school where majority of my kids came to me hating math and over half did not pass the STAAR test the year before. I seriously believe that because of your materials my students started to actually enjoy math. I personally used almost everything in the curriculum and my students grew this year more than I could have imagined! Every student but 1 passed the STAAR test this year and this is coming from the same group of students who came to me with less than half passing during 7th grade! I am one that looks at the kids that fail and forget to celebrate the kids that succeed…I’m a little driven. Over half of my 67 8th grade on level students (I also teach the Algebra) have never passed a STAAR Math Test. Only 17 of the 67 passed last year’s STAAR Test. Scores came in Friday. I had 46 pass the first go around. I had 6 kids get commended. Five missed passing by one question. The other two teachers at our school were at that level of success as well. One of my fellow teachers had a kid that had NEVER passed a Math STAAR Test get commended. How are other schools using it? 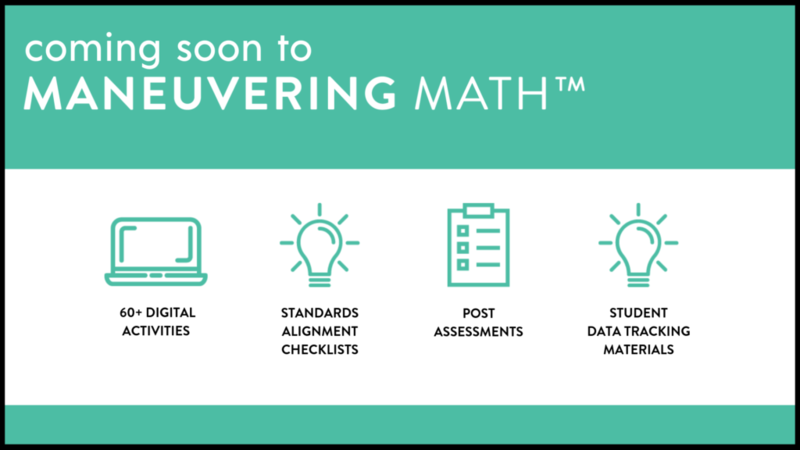 Maneuvering the Middle® math curriculum is being implemented in schools across the country. 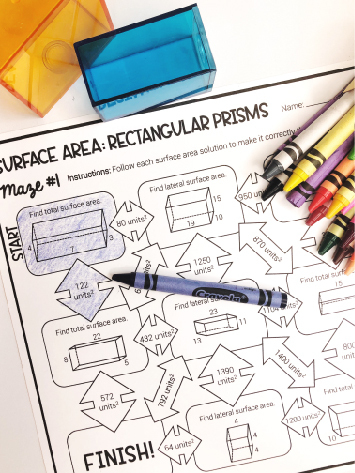 Because of its flexibility, teachers and schools are adopting it as a primary curriculum, as a supplement to their existing curriculum, and as a resource for math intervention classes. please submit your pre-sales questions here. Do you have any information that I can share with my administration about Maneuvering the Middle curriculum? Yes, our Guide for Administrators gives an overview of the resources. Yes, we do accept purchase orders. In order to provide you with a custom quote, please contact us to get the process started. What type of licensing do you offer for schools? campus or school district. It cannot be transferred to another teacher in the event of a vacancy. another teacher in the event of a vacancy. This looks great, but it’s kind of pricey. Do you offer any payment plans? If you are purchasing the resources for yourself, then we do offer a plan of four payments. Additionally, many teachers have gotten creative with their funds by requesting the curriculum through the PTA, by using math department funds, or by working with their administrative team to budget for the curriculum. My curriculum pacing is a different order; will the bundle work for me? Yes, the curriculum will still work for you because the units are organized in a logical manner. 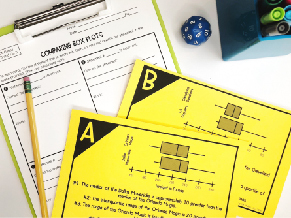 While the unit in and of itself is not editable, you can easily rearrange the order of the units and even adjust the pacing to meet your students’ needs if, for example, your district specifies that geometry concepts be taught in the fall. This looks great, but I don’t teach in texas. do you have resources for other states?